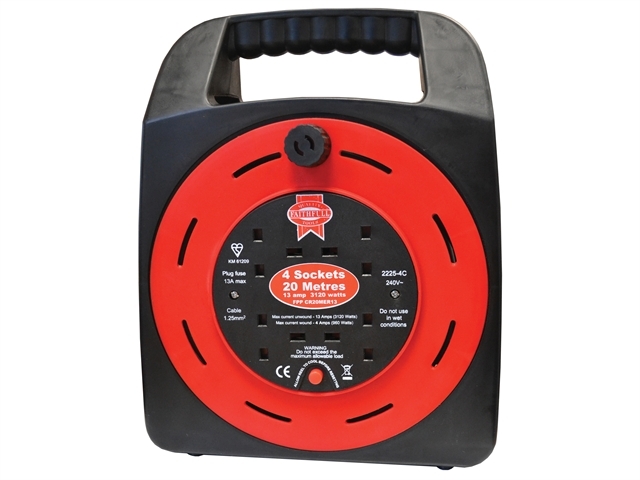 Faithfull 20m Cable Reel – 240v. •Rapid and tangle-free cable re-wind. •Enclosed case with winding knob. 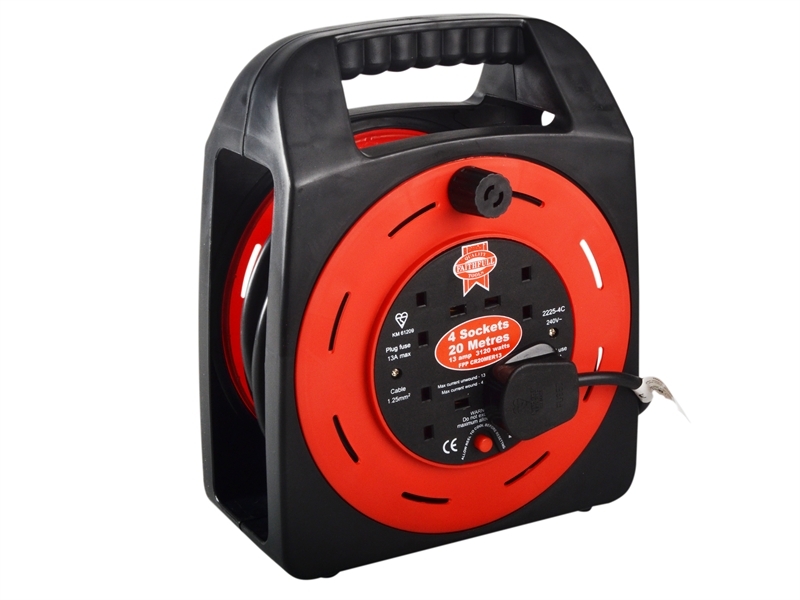 •20 Metre cable with approved plug. The design of this reel not only ensures that the cable is protected while in storage or in transit but by accurately guiding the cable onto and off the drum, the integral winding knob ensures that the reel is easy to use. 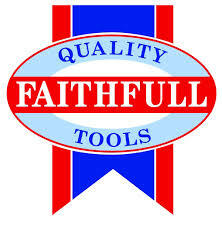 Perfect for providing electrical power for DIY projects, barbecues, parties and many occasions. 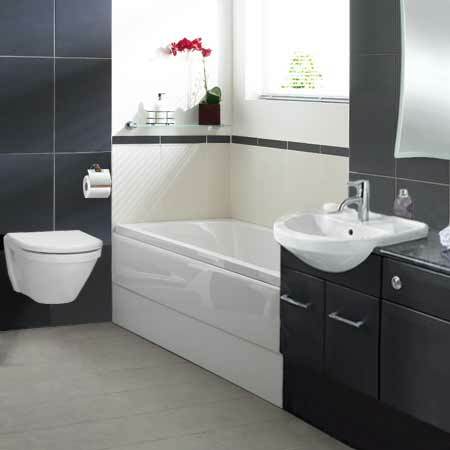 The cable is fully protected when rewound for safe storage and an integral winding knob ensures that the reel is easy to use when rewinding the cable after use. 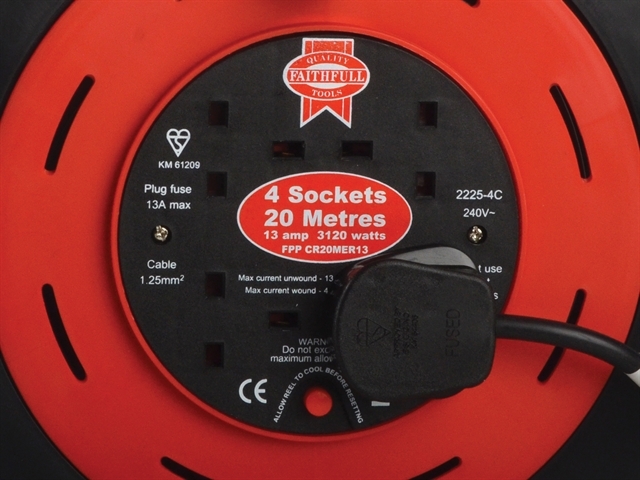 Maximum load 10Amps, fitted with four shuttered safety outlets.